So Chopsticks eventually attacked the Lebanese Army logo with this atrocity. 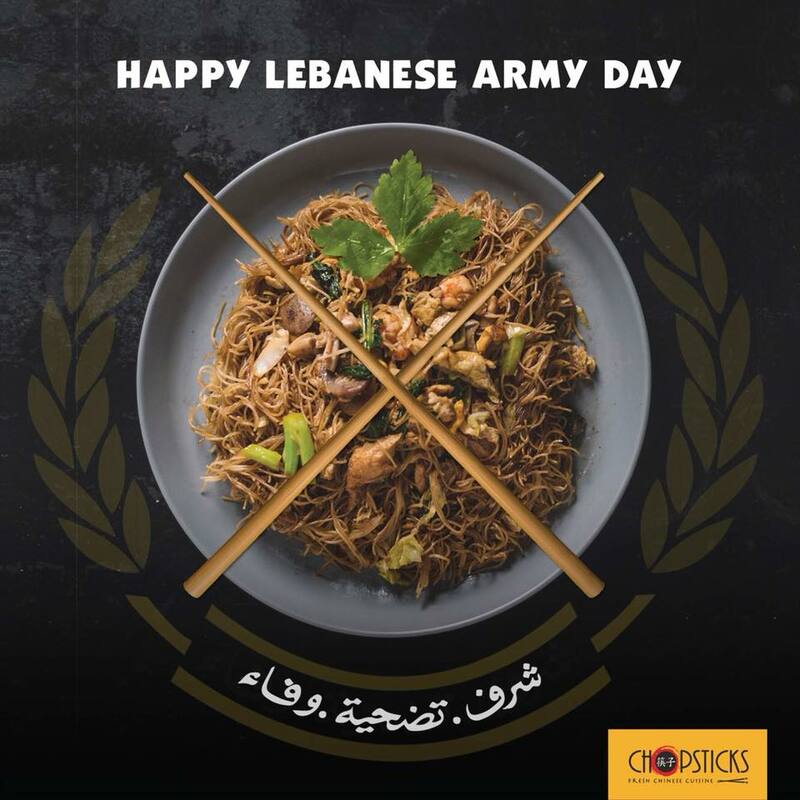 By inserting the two chopstricks instead of the swords and a plate of Asian food instead of the Lebanese map, this could easily be (so far) the worst ad for the Army Day in Lebanon. Someone please tell them to stop this insulting behavior.